It will be recalled that the earliest missionaries presented a message deemed least offensive to Germanic traditions and beliefs. All errors could not be eradicated at once; accommodation was acceptable when necessary in order to get one’s foot in the door. For example, the doctrinal concepts of sin, salvation and humility would seem remote to all Germanic classes – even reprehensible to the warrior class and their understanding of honor; therefore these were not stressed. Protection against evil magic, prayers for victory or a blissful death; these were sufficient. Christianity brought other new concepts into Europe: the origin of time in Creation, the end of time on the Day of Judgment; ethical conformity and doctrinal belief. These were not present in the folk-religion of the Germanic people. What might be described as the introductory period of accommodation was to evolve into a second phase, beginning in 678 with St. Wilfrid’s visit to Frisia and ending with the martyrdom of St. Boniface in 754. It is during this period that it is generally considered that the conversion to Christianity is completed, albeit in a Germanic form: sermons still emphasized victory in battle on earth and made secondary the promise of eternal live. But the question remains for me: what was unique about the combination of these tribes and this religion that brought forward a society and law that one can view as reasonably approaching libertarian? A Christian who has the name but does not do the deeds will not be glorified by Christ. Doing the deeds plays on the idea of honor; it was a question of modifying the desired “deeds.” This was often done subtlety – among other ways, in a manner we would understand well today: the gradual modification of language and definitions. It was also done bluntly, via force, conquest, and submission – at least during the era of Charlemagne. 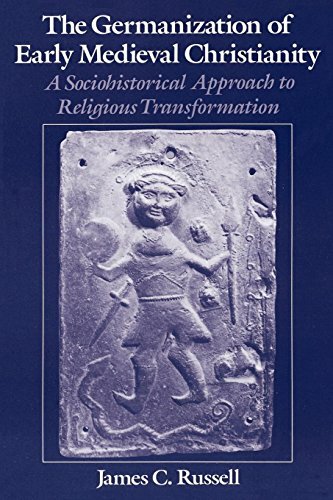 Pirmin identified several general and abstract sins; he placed special emphasis on the sinfulness of engaging in pagan practices: worship of or at sacred springs, stones or trees; acts of pagan magicians and magical practices. It is the teaching of this Christian way of life that marks this second stage in the process of conversion, the first stage being the introduction and accommodation. There was a whole new code of moral values, grafted onto the customs and traditions of the Germanic tribes – ethical modification. And it is in this intersection, perhaps, that the characteristics behind the decentralized, relatively libertarian society and law of the Middle Ages gained its strength. …there was a price to be paid for the Frankish experiment in creating a Christian social structure and culture. It gave to the western Church a wonderful sense of unity and coherence; it gave to western society great dynamism, which lies at the source of the European impact on the world. But it involved a degree of doctrinal, liturgical, and at bottom, cultural and racial intolerance, which made an ecumenical Church impossible. Unity in depth was brought at the expense of unity in breadth. And in this paragraph one can find the entirety of my struggle with liberalism. There is a price to be paid if one wants to achieve something approaching a libertarian, decentralized society; the price is explained. History has demonstrated that unity in depth is longer lasting and more stable (and more libertarian) than unity in breadth. Get enough breadth and there is no chance of unity, as we see even today. By 800, the capital of western Christianity shifted from Rome and the Mediterranean to the north in Aachen. Its spiritual centers were to be found in England, Gaul (northern France), and Germany. This was accompanied by a cultural – though not yet formally ecclesiastical – break with the Byzantine East. It was not until the tenth century that the new religion truly began to modify men’s thinking, when church towers rose above the cultivated fields. And it was with the rise of the Ottonian emperors of the tenth and eleventh centuries that Germanic Christianity made its way south and over the Alps, even to Rome.